See Our Bridge Rigging in Action! Click Here! Our structure-based access includes vertical and horizontal rigging systems. We offer rolling scaffold systems on tensioned catenary cables for floor system inspections, and swing stages and SpidersTM for vertical access on piers, towers, dams, and tall buildings. 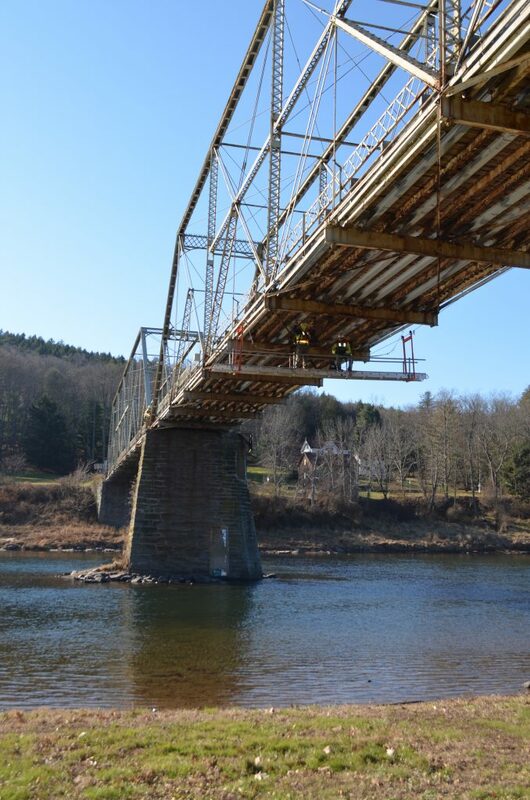 Whether you need vertical access on piers or towers, need to inspect bridge floors or require OSHA compliant fall protection, Harcon provides rigging systems for a variety of bridge inspection applications. 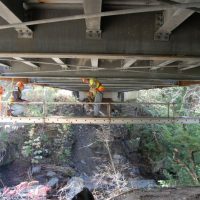 For bridge floor system inspections or similar lateral access needs, Harcon Corporation installs tensioned catenary steel wire ropes with railed stages on rolling frames. Like the rest of our systems, we’ve had this system in all its variations reviewed and stamped by a professional engineer, including the rolling frames, railing systems, and cable configurations, terminations, and attachment hardware. We’ve mechanized our cable installation and removal, and can handle 1/2″ cables, the standard size for most catenary rigging cables, up to 2,200 ft. long. Harcon provides OSHA compliant fall protection systems in tandem with all rigging installations. 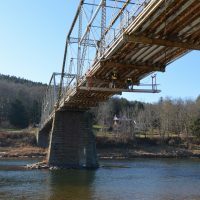 Typical free-climbing applications include bottom and/or top chord cable installations on truss bridges, hand lines along deep girders, or tiered hand lines on towers. All installations meet or exceed the most recent OSHA guidelines for fall protection. For vertical access on piers, towers, or bents, we provide electric Spiders™ with flydecks, or swing stage modular platforms up to 55 ft. in length. From pier sounding to pin-hanger ultrasonic testing to tower inspection, Spider™ access may be the most versatile system Harcon offers. Used in conjunction with one of our work boats or with our Polaris atv/trailer combination, a Spider™ can take an inspector almost anywhere. 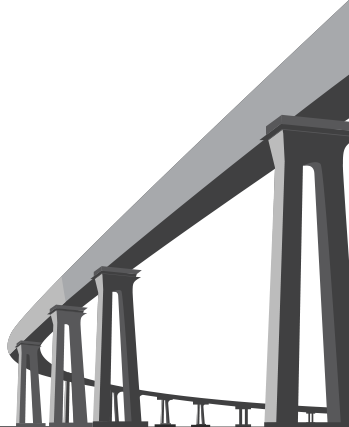 We’ve used them deep underground, on the sides of cliffs, on suspender cables, towers, in anchorages and on hundreds of piers and abutments. With their large capacity drums, our Spiders™ provide vertical capability in excess of 1,000 ft.
We also offer a Miller Descent Device™ with bosuns chair for certain column or pier applications. View More in the Gallery Click Here! 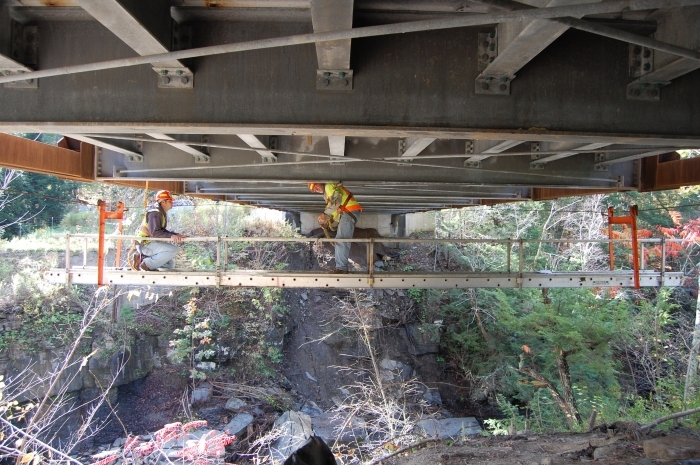 Harcon's equipment has been vital for some our more difficult bridges that would otherwise be impossible to access. I look forward to continuing to work with Harcon on future projects. © 2019 Harcon Corporation All Rights Reserved.